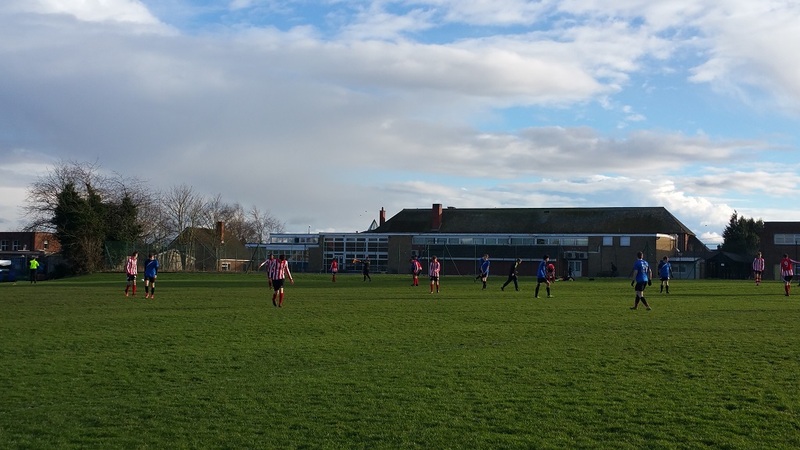 We hosted The Latimer Arts College in a County Cup Quarter-Final on Thursday 18th January, in cool and slightly blustery conditions. The first 10 minutes was all Sponne possession, inside the Latimer half, with a few half chances in front of goal. But it was Latimer who struck first, a break on the counter attack; which happened to be their very first attack of the game. Heads did not drop, and despite being 1-0 down, Sponne picked up where they left off, dominating much of play. It took a penalty to level the game; with Eliot Fowle out on the left, cutting inside and being pushed over for a clear foul, the resulting spot kick was dispatched by Sam Cater. The first half played out to a 1-1 draw, with Sponne by far and away having the best chances, but Latimer continued to threaten on occasion, on the counter. The second half was a much tighter affair to begin with, both sides having an equal share of the play, before an excellent period of play on the right side led to a second goal for Sponne, this time Max Porteous slotting home. At 2-1, the Sponne side lost their way, and Latimer, despite having 10-men through injury began to dictate the game. 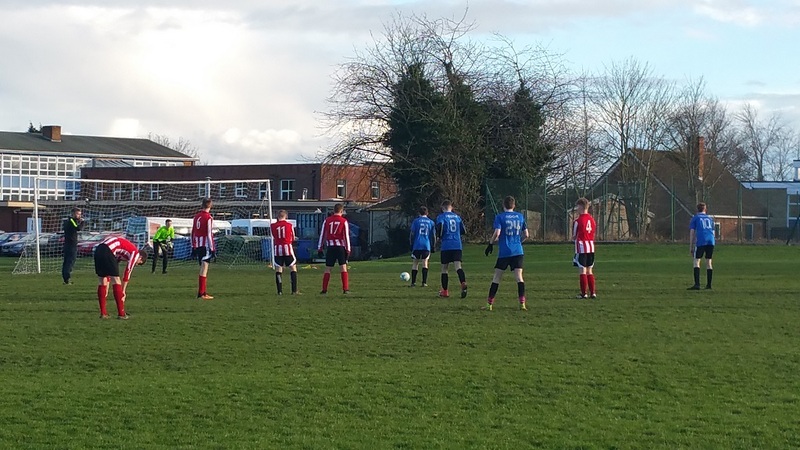 However it looked like Sponne would hold on, until a needless free kick was given, with 20 seconds left to play. Latimer floated the ball into the box, and managed to score a header, forcing extra time. Little of note happened in extra time, so penalties were required. A mixed bag of penalties were taken, with some very confident placed into corners, others saved by the keepers, others hit miles over the bar. It was Latimer who came out on top, in sudden death. We wish them well in the semi-final, showing real character to play for so long a man down! Man of the Match: Shared between Josh Mickley for a solid display in net, showing real control over his area, and for excellent decision making and distribution throughout, and Max Porteous who put in another superb performance, both out wide and in central midfield, involved in almost all the positive moves going forward.